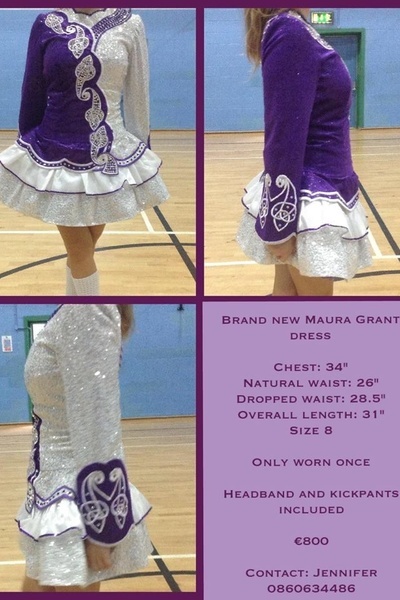 Brand new dress only worn once made by Maura grant. Purple and white with silver sequence. Comes with matching headband and kick pants. Asking Price: €800. Shipping costs are included in the asking price for worldwide shipping. Returns are negotiable.